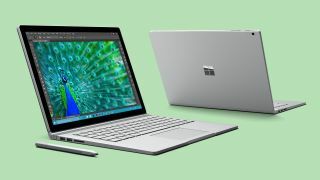 Microsoft increased the price of its Surface Book hybrid laptops across the board earlier this week, blaming Brexit-fuelled currency fluctuations, but the company clearly feels bad about the higher price tags as it has introduced a new offer giving buyers a bundle of freebies worth £300. Like the £150 price rise, this offer is effective across the whole range on Microsoft’s online store, and it gives buyers two years’ worth of ‘Microsoft Complete’ protection (insurance coverage) for their shiny new convertible, along with a free subscription to Office 365 Home for one year. The insurance cover would normally cost £219 and the subscription to the productivity suite runs to £80, meaning the total value of the freebies is £299. Microsoft’s protection plan offers insurance on both the hardware and software, with two claims allowed inside the two-year warranty period. You’re covered against the likes of dropping your notebook or spilling liquids on it, and get full software support including access to Microsoft experts for troubleshooting, or simply guidance on how to get things done within Windows 10 (we’ve got plenty of that here at TechRadar, as well). This offer runs up to and including March 1, while supplies last Microsoft says (although, of course, there are no physical products involved here – Office 365 is downloadable). It’s also worth noting that the free Office 365 one-year subscription will have auto-renewal enabled, so bear that in mind if you’re not sure about it, and might be cancelling. As we reported earlier this week, the entry-level Surface Book now costs £1,449, which is a bit of a stinger to say the least. Particularly when you look at the Microsoft US store where that base model is $1,299, down from $1,499 due to a straight $200 discount which is currently applied. Just a month ago on Microsoft’s UK store, you could bag yourself that same Surface Book for £1,104. So when’s the Surface Book 2 due to arrive?